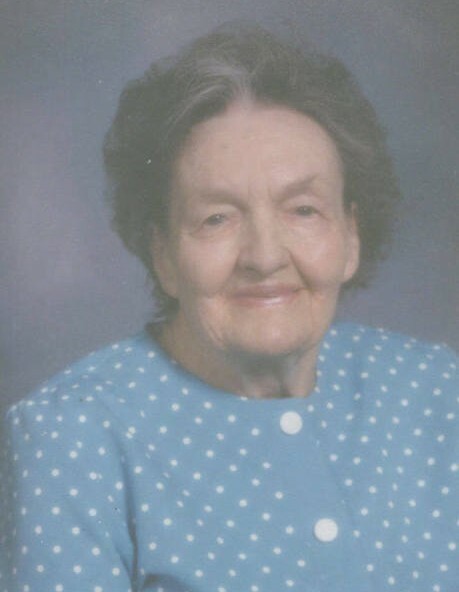 Mary Boardman Ferguson, 97, died May 7, 2009 at the home of her daughter in Morgan, Utah. She was born Dec. 21, 1911 in Provo, Utah to Robert Miles Boardman and Sarah Francis McKinney. She was the fifth child and fourth daughter. On Nov. 9, 1918 at the age of six her mother died. When she was 12 her father married Urie Day Bailey who had three daughters. Robert and Urie had two more daughters making a family of ten children. On July 20, 1931 she married Norman Edward Ferguson in Provo, Utah. Their marriage was later solemnized in the Salt Lake Temple. She and Norman moved to California where their first child was born. During the great depression (in 1933) they moved back to Provo, Utah and then to Monroe, Utah where Norman worked as a truck driver and Mary sold butter and eggs to keep food on the table. During a visit to Provo their second child arrived. They moved to Orem, Utah and daughter number three joined the family. They loved in Cottage Grove, Oregon for several months when World War II broke out. They moved to Los Angeles, California for a few months and then back to Provo, Utah. They bought a house and five more children were added to their family. In 1968, they moved to Canada. Mary was active in the church all of her adult life serving mostly in the primary where she was a teacher, counselor and President. She always loved children wherever she was. She used to say, “If you can love my child, I will love you.” She made friends wherever she went. She was the best cook and no one ever went away from her door hungry or cold. Dec. 14, 1996, Mom and Dad came back to Utah and moved in with their youngest daughter in Salem, Utah. After 10 years she came to live in Morgan, Utah until her death. She is survived by her children: Bonnie (Jay) Jeffery, Mary Lynn (George Wilson) Heaton, Pollyanna (Arthur) Enke, Helen Jill Fritchen, Nelly Jane (Alan) Madsen, Norman Kelly (Crystol) Ferguson, and Sylvan Guy (Susan) Ferguson. She has 46 grandchildren, over 100 great grandchildren and many great great grandchildren. She was preceded in death by her husband and one son, Robert Hilton Ferguson and all of her siblings. A special thanks to Applegate Hospice, especially Rachel, Lonnie and Ashley, for the kind loving care of our mother and grandmother. Funeral services will be held Saturday, May 16, 2009 at 11 a.m. at the LDS Church, 900 East 100 South, Provo, Utah. Friends and family may call at the church Saturday from 9:30 to 10:45 a.m.